(A) Waterpipe device, (B) with presentation of its main parts. For this thematic review we searched peer-reviewed publications indexed in major biomedical databases including PubMed, CINAHL, PsychInfo and Cochrane Library, between 2004 and 2014, as well as databases of global tobacco use surveillance systems such as the Global Youth Tobacco Survey (GYTS). Keywords included a combination of: waterpipe, hookah, shisha, epidemiology, patterns, prevalence and predictors. We also used different spellings of waterpipe terms commonly used (eg, narghile, arghile, narguila). As the focus of this review is on drawing an updated picture of the main epidemiological trends in waterpipe smoking globally, priority was given to studies with large representative samples, national/international data or high-quality reports that illuminated aspects of the epidemiology and trends in waterpipe smoking. Multiple researchers extracted the data independently and collectively decided on most important and pertinent studies to include in the review. Our aim is not to include all relevant articles to the review's theme, but to showcase main trends and provide some of high-quality studies and data to illustrate these trends. In this review we will start with discussing the main factors contributing to the spread of waterpipe globally, and discuss its main epidemiological trends and use pattern. Such knowledge is important to understand the dynamics and anatomy of the global waterpipe epidemic, and to guide a proportionate and informed response to its spread. As with many complex behavioural trends, it is hard to pin down factors responsible for the global spread of waterpipe smoking. Most likely, a combination of influences and developments within and outside the context of the behaviour collide to result its popularity. In such circumstances, a less conventional analysis of converging lines of evidence from different sources can help explain the likely drivers behind the global spread of waterpipe smoking. Here, we single out four such factors. The intersection between the social nature of waterpipe smoking and café culture: The strong social dimension of waterpipe smoking is well characterised.1 ,6–10 Many waterpipe smokers practice the habit in the company of friends and family, and treat it as a central element of social and family gatherings.7 ,11 ,12 Sharing the same waterpipe is also a well-recognised and widespread practice, especially among youth.7 ,13 The long sessions (averaging an hour) and slow pace of waterpipe smoking moreover, make the waterpipe an optimal object for social interactions, especially in café settings. And when a boom in the café culture in the Middle East and beyond took place,10 the waterpipe was a natural fit. The largely unregulated Internet allowed waterpipe promoters to circumvent most of the advertisement bans and reach their preferred customers pool through this means. In an analysis of 144 websites of waterpipe venues in the US, only 4% were found to include tobacco-related health warnings on their pages.18 A related analysis of cigarette-related and waterpipe-related YouTube videos found that user-generated videos of the waterpipe were less likely to acknowledge the negative health consequences of smoking compared to cigarette videos; 92% of waterpipe-related videos portrayed smoking in a positive light compared to only 24% of cigarette-related videos.19 Much of that promotion on the internet and social media is organised around Interest groups, but in fact disguise waterpipe sellers and marketers18–20 (see eg, http://www.hookahblogger.tumblr.com/ and http://www.hookah-shisha.com/hookahlove/). Lack of waterpipe-specific policies and regulations: Despite the remarkable success of public health policy in reducing cigarette smoking in many countries, waterpipe smoking has thrived in the wake of strict tobacco control policies and regulations that were mostly tailored for cigarettes. Waterpipe venues and products in many developed countries are exempt from tobacco control policies, while the additional lack of enforcement of existing policies in developing countries have contributed to the proliferation of these venues.6 ,21 For example, bans on flavouring, considered to be a major factor in the appeal to youth, often exclude waterpipe flavoured tobacco.22 Moreover, while cigarette pack size and packaging are somewhat uniform across the world, and while the cigarette tobacco industry is well defined and concentrated, this is not the case for the waterpipe. Compared with cigarettes, the waterpipe varies in shape and size, is less portable and comprised of multiple parts, is often shared, and has diverse financial stakeholders. These characteristics imply that many policy-related elements need to be waterpipe-specific.23 So for health warnings for example, individual consumers may not see the tobacco package if they are served the waterpipe in a café, and smokers are potentially exposed to health risks beyond those directly attributable to tobacco (eg, charcoal combustion, spread of infections from sharing and repeated use).7 ,24 ,25 More so, whereas most price-based policies have been shown to be effective in curtailing the demand for cigarettes,26 ,27 raising the price of waterpipe Maassel may not have the same effect across the board. For example, in a café/restaurant setting in the Middle East, tobacco usually constitutes a small component of the profit margin compared to food and beverages.6 And since anyone can prepare homemade Maassel from relatively cheap ingredients,28 waterpipe smokers may be less price-sensitive than cigarette smokers. Current other tobacco/waterpipe vs cigarette smoking among adolescents 13–15 year-olds in selected countries according to the most recent Global Youth Tobacco Survey (GYTS).42 *Specifically inquired about waterpipe smoking, otherwise it is represented by other tobacco use (mostly waterpipe in the Eastern Mediterranean region).32 ,43 ,44 †More than one survey, and the average of their prevalence measures is reported. 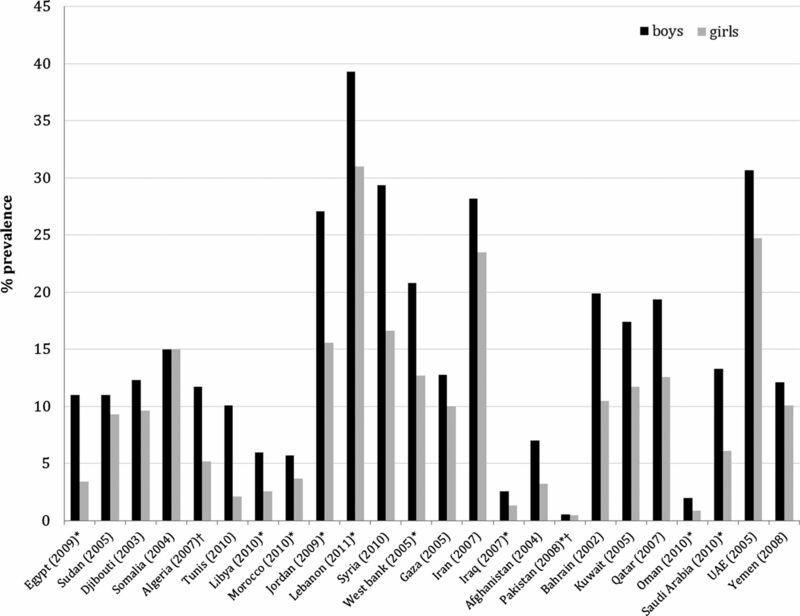 Gender-specific prevalence of current other tobacco/waterpipe smoking among adolescents (13–15 years-old) in selected countries according to the most recent Global Youth Tobacco Survey (GYTS).42 *Specifically inquired about waterpipe smoking, otherwise it is represented by other tobacco use (mostly waterpipe in the Eastern Mediterranean region).32 ,43 ,44 †More than one survey, and the average of their prevalence measures is reported. Another aspect of trying to provide a comparative context for the epidemiology of waterpipe smoking is to contrast it to cigarette smoking. For this purpose, definitions for waterpipe use that are consistent with those used for cigarette smoking (eg, ever, current, daily) need to be used. Cautiously, we need to be mindful that at least in adults, we are comparing a mainly daily smoking habit (cigarette) with a mainly intermittent one (waterpipe), and that different levels of waterpipe smoking are not captured with definitions such as current smoking (smoking within the past 30 days). Therefore, for a mainly intermittent tobacco use method, relying mostly on an intermittent measure of smoking (eg, current smoking), can create a false impression of high spread compared to cigarettes. For example, a systematic review of the studies looking at the epidemiology of waterpipe smoking globally, could not provide comparative maps of waterpipe use based on a single unified definition and the daily/intermittent differentiation was not entertained for the most part.31 What is not captured as well by using cigarette-based definitions is that the average time of waterpipe smoking cession is 1 h compared to 5 min for cigarettes,47 so information about time spent in smoking should be part of assessment of waterpipe use in population studies. Finally, some waterpipe smokers may not consider themselves as ‘smokers’ (the term mostly associated with cigarettes),48 so using waterpipe specific terms is imperative to capture the true spread of waterpipe smoking in epidemiological studies. With the expected variability in prevalence and patterns of use across regions and populations, waterpipe smoking generally presents some preponderance among male, young, and high socioeconomic groups. 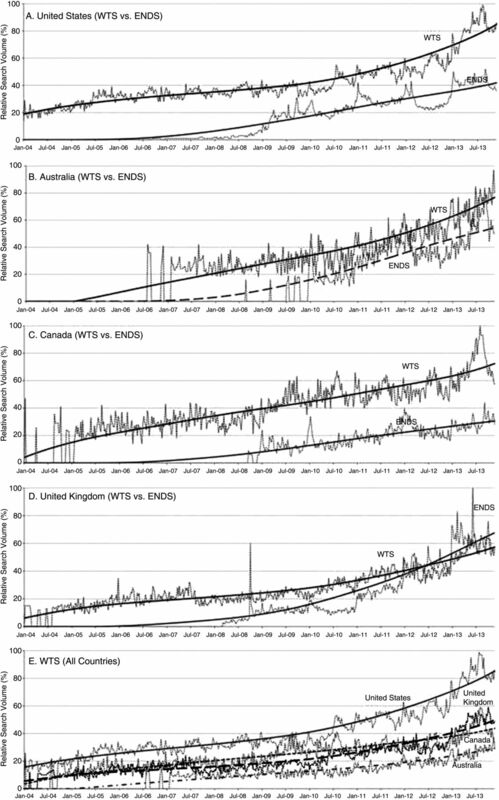 Figure 4 for example, demonstrates the gender difference in waterpipe smoking in the EMR, but similar gender-based trends have been registered in other parts of the world, as was captured by the NYTS data from the US (figure 6). Also noted among waterpipe users is a generally lower interest in quitting, and higher belief in ability to quit compared to cigarette smokers.53 ,54 For example, data from 2012 NYTS show that 41.5% of current waterpipe smokers have the intention to quit compared to 56.8% of current cigarette smokers.55 Furthermore, being a habit closely linked to waterpipe cafés common in cities makes waterpipe smoking more of an urban phenomenon. The most identified associated behaviour for waterpipe smoking is cigarette smoking. 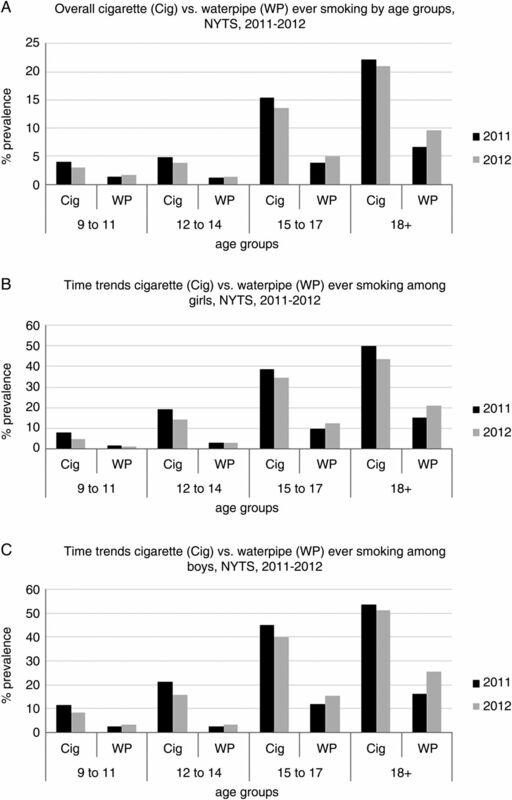 Many studies from around the world have documented the salience of cigarette smoking among waterpipe smokers, and cigarette smoking has been shown to be a major predictor of waterpipe smoking among youth.46 ,59 ,62 In the USA Monitoring the Future survey, waterpipe use among high school seniors was associated with current and former cigarettes smoking.58 Dual smoking however, tends to decrease with age, as older smokers are usually more loyal to a single tobacco use method. For example, in the study alluded to earlier comparing novice with established waterpipe smokers in Syria,56 the prevalence of dual smoking was 47.7% for novice smokers compared to 26.5% for established ones. These findings, coupled with recent evidence showing that waterpipe smoking can provide a gateway to cigarette smoking,63 suggests that smoking prevention efforts among youth need to address waterpipe smoking early on. In epidemiological terms, trends in waterpipe smoking covering vast geographical territories, diverse populations, and encompassing several sectors of society are indicative of an epidemic rather than a passing fad.64 Many factors such as the Introduction of Maassel, the thriving café culture, the rise of the internet and social media and the lack of regulations have created optimal conditions for the spread of waterpipe smoking globally. Waterpipe smoking has become the most common method of tobacco use among youth in the Middle East and is steadily becoming a leading tobacco use method worldwide. As a risk behaviour, waterpipe smoking seems to cluster among younger age groups, males, the educated and those who smoke cigarettes. In several populations, waterpipe smoking is providing young people with their first tobacco experience and predisposing them to cigarette smoking. In the face of such a burgeoning epidemic, many countries continue to neglect waterpipe smoking in their tobacco use surveillance and tobacco control policies, or continue to count it under the broad umbrella of ‘other tobacco use’. The good news is that waterpipe research during the past decade has provided the critical knowledge needed to deal with the waterpipe epidemic at different levels. As a result, standardised measures that can capture meaningful gradients in waterpipe use for population surveillance are currently available, since a primarily intermittent tobacco use method would not be clearly described under broad terms such as ever or current smoking.65 Other basic differences from cigarettes, such as the time spent on waterpipe smoking should also be captured in epidemiological surveillance of the waterpipe, since it has important implications on estimating harmful exposures and future morbidity and mortality. Knowledge accumulated about the harmful and addictive effects of waterpipe smoking moreover, can guide prevention and intervention efforts, while identifying epidemiological patterns of use can guide targeted approach to those at increased risk. In contrast to the expanding knowledge base about the waterpipe, the policy response to the waterpipe epidemic continues to lag behind. As most tobacco control policies and regulations are cigarette-tailored, adapting those policies to the specifics of waterpipe and applying existing ones to it is of major importance. Health warnings, youth access limitation, bans on advertisement and flavouring, clean indoor air laws and tobacco taxation already exist in many societies, and bringing waterpipe venues, products and retailers under these policies can be a major step in advancing waterpipe control in these societies. Other evidence accumulated in the past decade about different aspects of the waterpipe and summarised in this supplement should provide a workable roadmap for waterpipe prevention and control. In the past decade, waterpipe smoking has become a global epidemic, and is competing with cigarettes in terms of popularity among youth. Factors contributing to the global spread of waterpipe include; the introduction of Maassel, the thriving café culture, the rise of the Internet and social media, and the lack of waterpipe-specific regulations and policies. Waterpipe smoking seems to cluster among younger age groups, males, the educated and those who smoke cigarettes. Despite worrisome trends in waterpipe smoking, we have become better equipped in the past decade to deal with the waterpipe epidemic at different levels, including progress in waterpipe specific surveillance, knowledge about its harmful and addictive properties, groups at most risk, and the need for a specific framework for policy and regulations to limit its spread.
. Interventions for waterpipe smoking cessation. Cochrane Database Syst Rev 2007;(4):CD005549. (accessed as up-to-date: 8 Mar 2011).
. Tobacco in the Arab world: old and new epidemics amidst policy paralysis. Health Policy Plan 2014;29:784–94.
. Waterpipe (hookah) tobacco smoking among youth. Curr Probl Pediatr Adolesc Health Care 2011;41:34–57.
. What are young adults smoking in their hookahs? A latent class analysis of substances smoked. 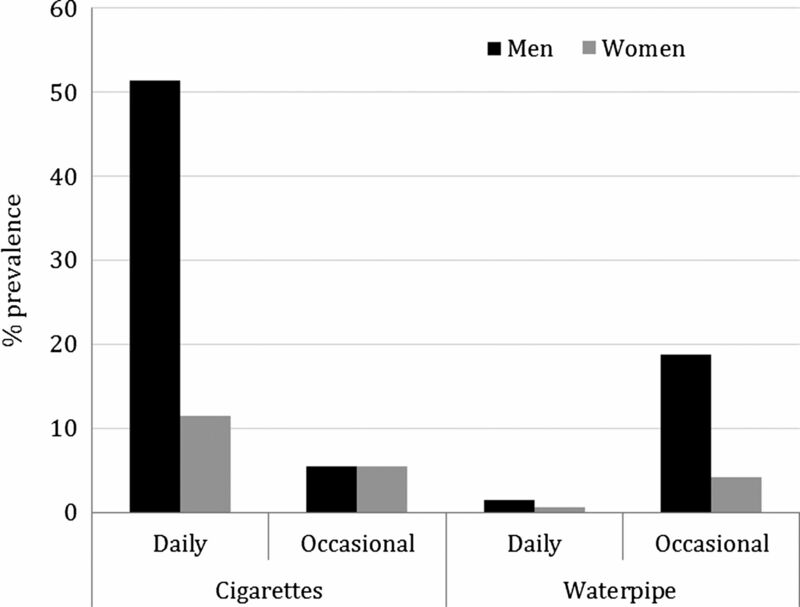 Addict Behav 2014;9:1191–6.
. Waterpipe smoking: not necessarily less hazardous than cigarette smoking. Netherlands Heart J 2014;22:91–9. American Lung Association. Tobacco Policy Trend Alert. An emerging deadly trend: Waterpipe tobacco use. http://www.lungusa2.org/embargo/slati/Trendalert_Waterpipes.pdf (accessed 5 Jul 2014).
. The rise in narghile (shisha, hookah) waterpipe tobacco smoking: a qualitative study of perceptions of smokers and non smokers. BMC Public Health 2011;11:315.
. Legislation enforcement of the waterpipe tobacco industry: a qualitative analysis of the London experience. Nicotine Tob Res 2014;7:1000–8.
. Prevalence and correlates of waterpipe tobacco smoking by college students in North Carolina. Drug Alcohol Depend 2011;115:131–36.
. How popular is waterpipe tobacco smoking? Findings from internet search queries. Tob Control 2014. In press.
. US hookah tobacco smoking establishments advertised on the internet. Am J Prev Med 2012;42:150–6.
. Point-of-sale tobacco advertising in Beirut, Lebanon following a national advertising ban. BMC Public Health 2013;13:534.
. Impact of EU flavoured tobacco ban on waterpipe smoking. BMJ 2014;348:g2698.
. Waterpipe tobacco labeling and packaging and World Health Organization Framework Convention on Tobacco Control (WHO FCTC): a call for action. Addiction 2014;109:333.
. Measurement of 16 polycyclic aromatic hydrocarbons in narghile waterpipe tobacco smoke. Food Chem Toxicol 2008;46:1582–90. How To Make Your Own Shisha. http://www.thehookahlounge.org/how-to-make-your-own-shisha/ (accessed 5 Jul 2014).
. US health policy related to hookah tobacco smoking. 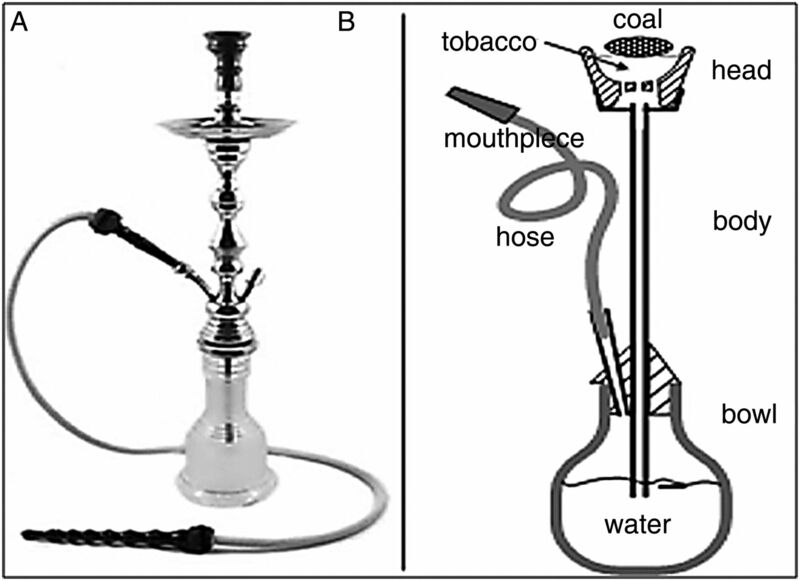 Am J Public Health 2012;102:e47–51.
. Health warning labeling practices on narghile (shisha, hookah) waterpipe tobacco products and related accessories. Tob Control 2010;19:235–9.
. Changes in tobacco use among 13–15-year-olds between 1999 and 2007: findings from the Eastern Mediterranean Region. East Mediterr Health J 2010;16:266–73.
. Prevalence of tobacco use among students aged 13–15 years in Health Ministers’ Council/Gulf Cooperation Council Member States, 2001–2004. J Sch Health 2008;78:337–43.
. Patterns of global tobacco use in young people and implications for future chronic disease burden in adults. Lancet 2006;367:749–53.
. Waterpipe smoking among US university students. Nicotine Tob Res 2013;15:29–35.
. Prevalence and predictors of water pipe and cigarette smoking among secondary school students in London. Nicotine Tob Res 2013;15:2069–75.
. Evidence of emerging hookah use among university students: a cross-sectional comparison between hookah and cigarette use. BMC Public Health 2013;13:302.
. Cigarette and waterpipe smoking among adolescents in Estonia: HBSC survey results, 1994–2006. BMC Public Health 2008;8:392. CDC. Tobacco product use among middle and high school students-United States, 2011 and 2012. Centers for Disease Control and Prevention (CDC). MMWR Morb Mortal Wkly Rep 2013;62:893.
. Bidi and Hookah use among Canadian youth: findings from the 2010 Canadian youth smoking survey. Prev Chronic Dis 2013;10:E73.
. Is concern about waterpipe tobacco smoking warranted? Aust N Z J Public Health 2008;32:181–2. CDC. Global Tobacco Surveillance System Data (GTSSData). http://nccd.cdc.gov/gtssdata/Ancillary/DataReports.aspx?CAID=2 (accessed 28 Jun 2014).
. Global tobacco surveillance system. The GTSS Atlas. Atlanta: CDC Foundation, 2009.
. Change in tobacco use among 13–15-year-olds between 1999 and 2008: findings from the Global Youth Tobacco Survey. 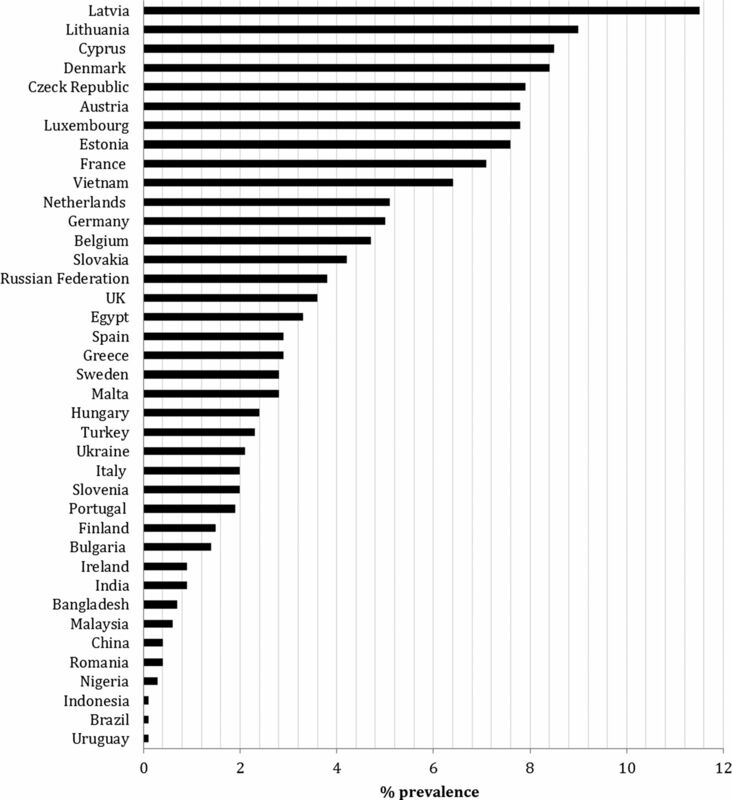 Glob Health Promot 2009;16:38–90.
. Poly-tobacco use among adults in 44 countries during 2008–2012: Evidence for an integrative and comprehensive approach in tobacco control. Drug Alcohol Depend 2014;139:60–70.
. The tobacco epidemic in Syria. Tob Control 2006;15(Suppl 1):i24–9.
. Identifying addictive behaviors among adolescents: a school-based survey. Arch Pediatr 2011;18:737–44.
. Waterpipe tobacco smoking: knowledge, attitudes, beliefs, and behavior in two US samples. Nicotine Tob Res 2008;10:393–8.
. Characteristics of US waterpipe users: a preliminary report. Nicotine Tob Res 2007;9:1339–46.
. A qualitative analysis among regular waterpipe tobacco smokers in London universities. Int J Tuberc Lung Dis 2013;17: 1364–9.
. Youth tobacco cessation: quitting intentions and past-year quit attempts. Am J Prev Med. 2014;47(2 Suppl 1):S15–27.
. Comparison of patterns of use, beliefs, and attitudes related to waterpipe between beginning and established smokers. BMC Public Health 2005;5:19.
. Smoking habits in the Middle East and North Africa: results of the BREATHE study. Respir Med 2012;106(Suppl 2): S16–24. US Department of Health and Human Services. Preventing tobacco use among youth and young adults: a report of the surgeon general. Atlanta, GA: US Department of Health and Human Services, Centers for Disease Control and Prevention, National Center for Chronic Disease Prevention and Health Promotion, Office on Smoking and Health, 2012.
. Waterpipe dependence in university students and effect of normative beliefs: a cross-sectional study. BMJ Open 2014;4: e004378.
. Hookah use among US high school seniors. Pediatrics 2014;134:227–34.
. Prevalence of Waterpipe (Shisha, Narghille, Hookah) Use Among Adults in Great Britain and Factors Associated with Waterpipe Use: Data From Cross-sectional Online Surveys in 2012 and 2013. Nicotine Tob Res 2014;16:931–8.
. Predictors of Arab American adolescent tobacco use. Merrill Plalmer Q 2006;52:327–42.
. Patterns of water-pipe and cigarette smoking initiation in schoolchildren: Irbid longitudinal smoking study. Nicotine Tob Res 2012;14:448–54.
. Commentary: the waterpipe—a global epidemic or a passing fad. Int J Epidemiol 2010;39:857–59.
. Standardizing questionnaire items for the assessment of waterpipe tobacco use in epidemiological studies. Public Health 2005;119:400–4. Contributors WM conceptualised the research idea and took the lead in the writing of the manuscript. ZBT, RB, FI, RJ, RA and RGS contributed to data extraction and helped draft the manuscript. All authors read and approved the final draft. Funding This work was supported by the National Institute on Drug Abuse grant number R01 DA035160.